CHICAGO, IL (Jan. 27) – After a successful first event in 2014, the Warrior Dash World Championship will be returning for a second year to a new location at Milky Way Farm in Pulaski, TN on Saturday, October 10, 2015. The Warrior Dash World Championship is an international 5K obstacle race where elite athletes sprint through the 3.1 mile course to battle for the ultimate bragging rights and thousands of dollars worth of prize money. This will be Warrior Dash’s third year at Milky Way Farm. Tennessee’s terrain and course will provide a challenge for both returning and new competitors. Last year’s World Championship, in Esparto, CA, hosted world-class athletes including Hobie Call, Rose Wetzel and Cody Moat. 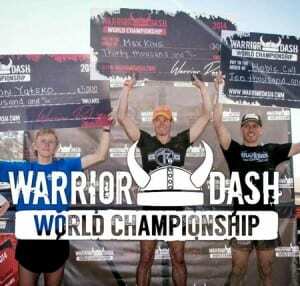 Warrior Dash gave away $100,000 in prize money; the largest purse prize in 5K non-track history, including $30,000 to male winner, Max King and female winner, Kimber Mattox. Participants can qualify for the Warrior Dash World Championship by signing up for a competitive wave at any of the 30+ events internationally and placing in the top 25 of their gender. Milky Way Farm is near Nashville, TN and free of charge for spectators. The festival provides spectators the opportunity to see world-class athletes compete on the course and race through the finish, in addition to merchandise, food, beer, sponsorship activations and interactive activities. Additional sponsorship and activations will be announced as the event approaches. Mud Run Guide will once again provide media coverage of the Warrior Dash World Championship event, and is in development of a series following athletes throughout the season in their quest to qualify for the WDWC. About Warrior Dash: Warrior Dash is the world’s largest obstacle race series and is held on more than 30 challenging and rugged terrains across the world. Participants will bound over fire, trudge through mud and scale over 12 obstacles during this extreme 5K. After pushing their limits on the Battleground, Warriors celebrate with live music, Warrior grub and beer steins. About Red Frog Events: Red Frog Events is an event production company that pioneered the experiential entertainment industry and has been recognized for its award-winning company culture. 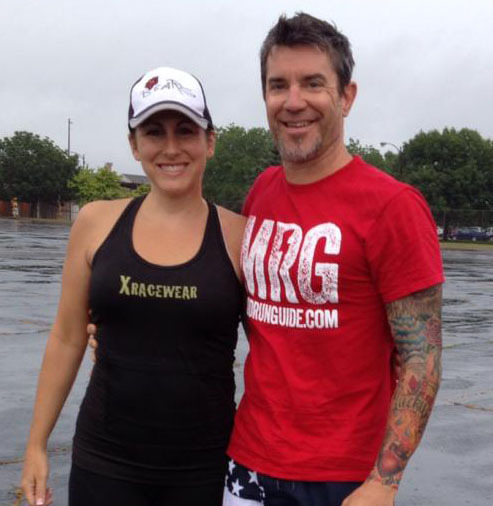 Since 2007, the company has developed innovative brands including the Warrior Dash obstacle race series, Firefly Music Festival, American Beer Classic, and EventSprout.com. Red Frog has been named one of Forbes’ “Most Promising Companies in America”, has appeared consecutively on Inc. Magazine’s “Fastest Growing Companies” list, and was awarded Business of the Year by the US Chamber of Commerce, among other honors. In recognition of its philanthropic efforts, the company was selected as St. Jude Children’s Research Hospital “Corporate Partner of the Year” and to date has raised over $10 million of a $25 million dollar fundraising commitment.